Every week, Simply Folk host Ruth Smith selects a record from the folk music archives. This week, she's chosen Bilingua by Eithne Ní Uallacháin. Featuring: Gerry O’Connor, Gilles Le Bigot, Mario n’Goma, John McSherry, Dónal O’Connor, Shaun "Mudd" Wallace, Niall Ó Callanáin, Nicky Scott, Neil Martin & John Fitzpatrick. Having spent last week at the Fleadh, in the proud heartland of the Oriel region in Co. Louth surrounded by music and bilingual conversation, this album feels most appropriate for this weeks’ installment of Simply Folk Recommends. Eithne Ní Uallacháin’s solo album Bilingua is a deeply personal collection of eleven songs; eight of them self penned by Ní Uallacháin, with collaborations from family members throughout. The album has an openness and universality that invites the listener on a complex musical journey through realms of Celtic spirituality, cycles of life, communion with the earth and the full spectrum of emotion from ecstasy to shadow - all crystalised by Eithne’s vocal purity. We are buoyed by the summer soaked rapture of Beo and Bilingua, and brought to stillness and reflection by I am Stretched on Your Grave and Grief. Combining musical influences as disparate as West African drumming to Balkan meters, Scandinavian idioms, mid Atlantic guitar grooves and classical swells, this album is musically curious and ambitious in its arrangements, yet firmly rooted in the knowledge and integrity of tradition. Eithne was raised in an Irish speaking household steeped in lore and song (along with her sister, the singer and scholar Pádraigín Ní Uallacháin). Her mother, Eithne Bean Uí Uallacháin from south Armagh and father Pádraig from Dundalk, a teacher, writer and avid song collector who published songs drawn from the Oriel region. 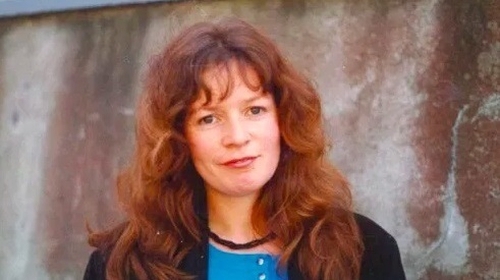 That life purpose was expressed through the many recordings made by Eithne, alongside her husband Gerry O’Connor, from their debut album Cosa Gan Bhróga (1987) followed by Lá Lugh (1992), Brighid’s Kiss (1996) and Senex Puer (1998), culminating in the recording of her solo album Bilingua, before her untimely death in 1999. WATCH: Eithne – Idir Dhá Shaol is told from the intimate perspective of Eithne’s family, friends and fellow musicians. The film was directed and produced by her son Feilimí O’Connor. Eithne’s craft, her voice and musical spirit has influenced many modern singers, among them Muireann Nic Amhlaoibh & Pauline Scanlon. Bilingua is a special album. It is a call to listen, to be curious and in union with the world we find ourselves in. In many ways it’s also a call from another realm, to live in line with our higher selves. This album is certainly a door towards that way of being. Bilingua: The opening title track is pulsing, tribal, layered and full of sonic colour, complete with soaring strings and timpani like rolls. It’s in the nature and in the future. Another time learning wisdom age. Bilingua"
With the 'Bilingua' vocal ostinato set down from the start, this track feels trance-like, in the round, like it could go on forever. Grief: Opening with the well-known refrain as Gaeilge, 'Ochón is ochón ó', this beautiful lament is full of sorrow and hope, with a delicate arrangement that lets the lyrics and vocals stand out clear and true. In the belly of the shadow with all its shades digested. Senex Puer: Showing the scope of Ní Uallacháin’s literary investigation. The senex/puer archetype appears in Greek & Roman mythology, (Ovid’s Metamorphosis) and in Jungian psychology. Senex the latin for 'old man' and puer the 'eternal primordial youth'. Representing this duality in the world and in ourselves, the Senex as the wise sage, grounded and disciplining while the Puer is flashes of youthful enthusiasm, the lightness of creativity and fantasy. This tri-lingual song brings them into union - 'Let it be me' - with Gregorian chant, polyphonic layering and a smooth tribal groove. 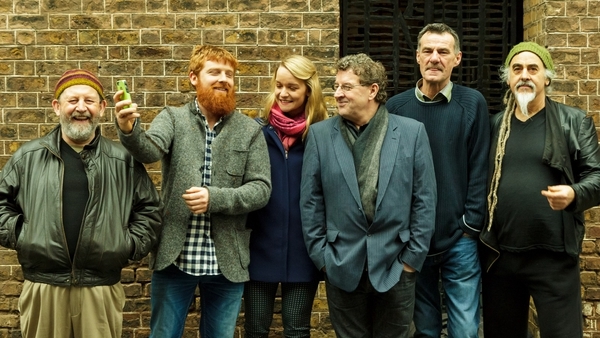 Listen to Simply Folk on RTÉ Radio 1 on Sundays at 10pm. Ruth Smith is the co-presenter (with John Creedon) of this year's inaugural RTÉ Radio 1 Irish Folk Awards, which take place on October 25th, 2018 in Vicar Street, Dublin - find out more here.